I have been involved with Girls on the Run for 5 years, and I LOVE IT! I have coached 3 seasons and been at every 5k event. Watching the girls grow throughout the season is my favorite part. When you teach girls skillsets they can use in their lives, and then you watch them use it...SO AMAZING. My favorite lesson is in the Heart and Sole curriculum (For 6th-8th grade girls) about 'Pressing Pause". It teaches girls to stop, press pause, and allow themselves time to analyse the situation they are in and make the best choice for themsleves. Anyone that has ever been a teenager (especially a teenage girl) can relate to how important this mindfullness is. 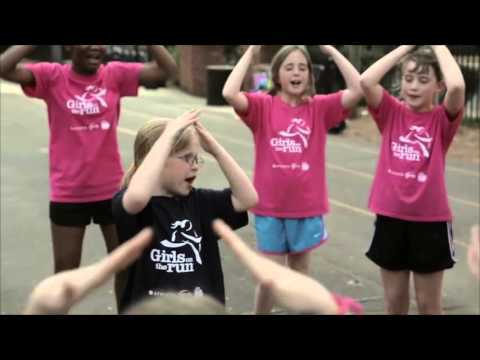 Being a part of Girls on the Run has positivly affected how I think and act towards myself and others. I am running my first marathon in october to support the program that I love. Over the last 5 years, I have seen many girls that have financial barriers to particiate in the program and may have barriers to quality running shoes. My goal is to raise $1000 to buy at LEAST 30 pais of running shoes. Put a girl in the right shoes and she can change the world!